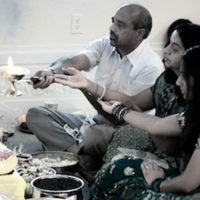 The Satyanarayana Puja is also performed monthly. Those who are performing this Puja should bring cooked Satyanarayana Swami Prasad. The Satyanarayana Puja at Sri Somesvara Temple is usually performed on the Purnima (full moon day) and Ekadashi (the night before the 11th day of the Vedic month) of every month. 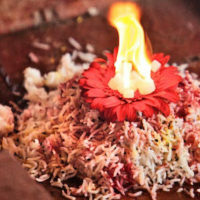 This Puja is good to perform on special occasions, including marriage, housewarming, etc., and during times of achievement (graduation, promotions, new job, etc.) as an offering of gratitude to the Lord. In 2017, Sri Somesvara Temple will be performing the Satyanarayana Puja on Ekadashi days. Please join us for this powerful ceremony on these auspicious days. If you are interested in performing this Puja, please schedule in advance for either Ekadashi or full moon day. 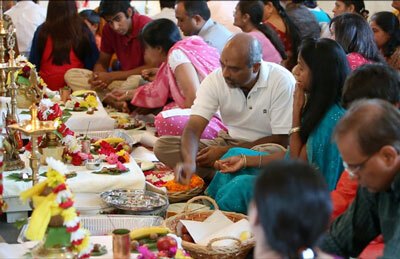 This Puja is conducted to ensure abundance in one’s life. Sri Satyanarayana Puja or Vrath (ritual) is the easiest and most inexpensive way of self-purification and self-surrender at the lotus feet of Lord Vishnu. Those who observe it with full devotion and faith are sure to attain their heart’s desire. This ritual starts with a Ganesh Puja, a prayer to the navagrahas (the nine planets) which are important celestial beings in the universe, five elements, and the leaders of the eight dimensions. The Trinity will be invoked in this Puja as well. At the end of the Puja, five stories about the benefits of the Satyanarayana Puja are read along with their deeper meaning. According to the scriptures, during Kaliyuga, the fruit that one receives by hearing Satyanarayana katha (story) is enormous. The katha is dedicated to Lord Vishnu as his manifestation as Lord Satyanarayana. The rest of the Puja consists of worship to Satyanarayana. 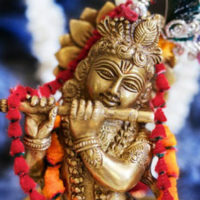 The Lord in this form is considered an embodiment of truth. "Satya" means truth, "nar" means man, and "ayan" means place. Thus, the place where truth resides in a man is called Satyanarayana. This Puja and katha (story) helps us to overcome vices such as lust, anger, greed, attachments, negativity and evil. Those who perform this Puja in their lifetime will be free from all sorrows, will ultimately reach heaven, and attain moksha.